Our Atlantic Cushion earrings are the perfect pairing to any other fine jewelry in our Atlantic Collections. 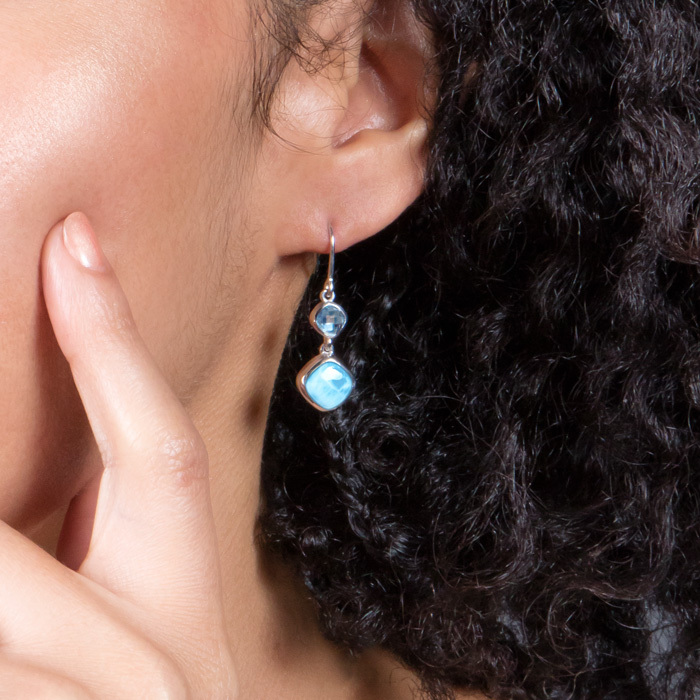 Beautiful cushions of larimar stones are suspended from a button of bezel-set blue spinel and surrounded with highly polished sterling silver. Sparkle your day with these! Product Details: Two 8mm larimar gemstones with blue spinel and sterling silver.